At the dawn of 2019, it is clear that today’s geo-political landscape is dominated by the rivalry between the United States and China. For much of the past two decades the US believed that China would pursue a path from communism to liberal capitalism, embracing freedom and human rights. It would become a reliable partner for the West. Presidents of the US from Richard Nixon to Barack Obama had clung to the idea that an increasingly prosperous China would liberalise economically and politically. No longer. Instead Chinese dictatorship has deepened. It runs a surveillance state and ransacks the world’s intellectual property. Over the past year, President Donald Trump’s administration has made it clear that it considers China a strategic rival. Talk about “the End of History” after the collapse of the Soviet Union has given way to debate over the so-called “Thucydides Trap”. This refers to the 5th century BC clash between the rising power of Athens and the established military hegemon, Sparta. The subsequent conflict ruined both. The theory is relevant today because it suggests that when a rising power meets a declining power, as when Sparta (US) encountered Athens (China), war follows. The new, more confrontational approach adopted by the US to China derives from this sense of challenge from a rapidly growing, fearsomely armed insurgent state. 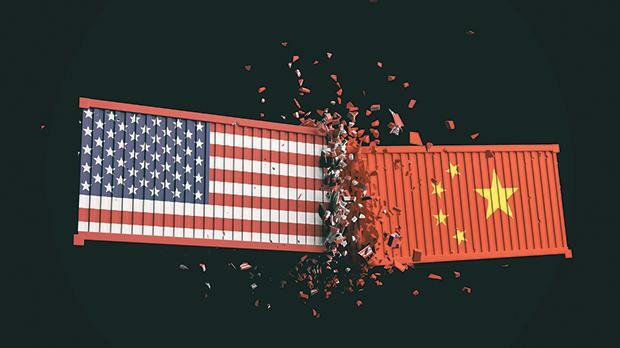 This has already manifested itself in the escalating trade war between Washington and Beijing (a trade war temporarily on hold following the G20 summit in December). But it is clear that this dispute goes well beyond trade. Trump’s United States sees itself operating in a bipolar world. As President Obama sought to manage America’s decline, Trump seeks instead to deny it. In President Xi Jinping of China he has a rival who wants to supplant American influence in Asia and across the globe. Both countries are spending billions on weapons. One lesson from the 20th century is that great power rivalry leads to fatal miscalculations. This new geopolitical reality has grave implications for Europe, not only because of the way that the US has chosen to prosecute this new Cold War. For 70 years the US has asserted its influence through the multilateral institutions that it set up in the aftermath of World War II. In establishing the World Trade Organisation, Nato, the International Monetary Fund and the World Bank, the US accepted some restraints on its sovereignty in return for a leading role in shaping global rules. Those institutions were looking frail even before the election of Trump and the ascent of Xi. But it is the Trump administration that has embraced the doctrine of America First, global rules coming a distant second. Washington is not prepared to accept constraints on its sovereignty where it believes they are contrary to the exercise of American power. It calculates that rule-taking tilts the balance of advantage towards China which, under the guise of being a good global player, advances its own ambitions to become a super-power. But Trump’s approach is not so dissimilar to China’s. Beijing, too, has adopted a cherry-picking approach to the rules-based order. China has profited from the peace in Asia that stemmed from the setting up of US bases in the region after the end of World War II and the Korean War. Under Xi, however, it has come to see the US presence as a form of encirclement. This sense of being boxed in is what China has in common with Russia. They feel that they have been squeezed out of their rightful place as regional leaders by US power. In their eyes this skews the global rules against them and then upholds those rules with the brute force of a high-tech US Navy. The South China Sea is where Beijing is ready to fight back because of its vulnerability there. About US$3 trillion worth of seaborne trade sails through its waterways. China creates artificial islands and landing strips. Three of the largest reefs have been turned into a strategic triangle. A trading conduit has been militarised. The crux of the problem is that trade rows almost always mask a deeper conflict. Military strategists think that a war by miscalculation could easily occur. With China set to win numerical superiority in the South China Sea over the coming decades (it is thought the Chinese Navy will have 415 ships by 2030 compared to 300 on present plans for the US Navy), the risks are increasing. America and China can fall together into the Thucydides Trap, starting with the current trade war and escalating into a real one. Or they could opt for “co-evolution”, which must be the preferable course to follow. What does President Xi want? In one phrase borrowed from Trump, to make China great again. Xi’s policy has four goals. To return China to the predominance in Asia it enjoyed before the West intruded. To re-establish control over “Greater China”, including Taiwan. To recover its historic sphere of influence along its borders and adjacent seas. And to command the respect of the other great powers. It is helpful to view these goals in their historical context. As Singaporean academic, Kishore Mahbubani has written in a provocatively titled book Has the West Lost It?, from the birth of Christ until 1820, China and India accounted for the lion’s share of global economic output. It is only in the two centuries since the Napoleonic Wars that Europe, and then Europe and the US combined, have eclipsed the East. History may be turning full circle. With China set to win numerical superiority in the South China Sea over the coming decade, the risks increase. The rational course is for the US to build multi-national alliances with those countries that feel most exposed to Chinese pressure. Japan, South Korea, Malaysia, Vietnam are all large, growing markets that are rightly nervous about their big neighbour. Trump needs to understand the strength of regional alliances as he faces off with China. The world has never seen anything like the rapid tectonic shift in the global balance of power. If Trump and Xi keep doing what they have done for the past two years, the US and China will almost certainly wind up at war. Both nations have “extreme superiority complexes”. The US aspires to contain China and the Chinese are determined not to be contained.